On July 1 each year there are Canada Day festivities throughout the Lower Mainland including at Waterfront Park near Lonsdale Quay in North Vancouver. Click on any of the above links to jump to a specific subject, or continue reading to learn all about Canada Day in North Vancouver and the surrounding area. Canada Day festivities at North Vancouver‘s Waterfront Park include bouncy castles and activities for children, as well as food and entertainment for everyone. See below for details on the Canada Day celebrations at Waterfront Park, and far below for details on other Canada Day activities elsewhere on the North Shore. North Vancouver’s July 1st celebrations take place at Waterfront Park from noon until 4 pm each year. Waterfront Park is a nice grassy park just a five-minute walk to the west of the SeaBus terminal exit at Lonsdale Quay. It’s right on the water with magnificent views of the Vancouver skyline. For an idea of what to expect at the Canada Day celebrations at Waterfront Park, check out the following video. In it, bands featured include 5 on a String, Mazacote and The Day Trippers who have all performed at the event in recent years. At the Waterfront Park celebrations there is a wide range of live entertainment including street performers, a bagpipe marching band, multicultural dancers and various local bands. It is a great family-friendly North Shore community event. On Canada Day there are also food vendors selling everything from ice cream and cold drinks to hot dogs. Different community organizations have informational booths set up and there is face-painting and all kinds of fun kid-friendly games and activities. Eagle Song Dancers – an Indigenous dance group from the Squamish Nation. Pro Arté? – a local children’s dance group. Lions Gate Chorus – a Vancouver-based chorale group. North Shore Celtic Ensemble – a great North Shore-based youth fiddle group. Souled Out – a local 11-member Rhythm & Blues, Soul, Funk and Disco-playing band. J.P. Fell Pipe Band – the Official Pipe Band of the North Shore. For a sample of what to expect on the Main stage, below is the official schedule of performances for 2018. 1:35 pm – Pro Arté? Below is an illustrated map of Waterfront Park on Canada Day in 2018. As you see, food vendors at the event are located at the north end of the park near the Spirit Trail (which is a great cycling path). Games and activities are primarily along the west side of the park. Things you’ll find in this area include a bouncy castle, climbing wall and other free family-friendly things to do. The Main Stage is located at the south end of the park. It’s in a pretty spot not far from the waterfront with views of the Vancouver skyline in the distance. The Main Stage is where the North Shore Celtic Ensemble starts the afternoon and the band Souled Out finishes the day. In the map you’ll also see that there is a craft station in the southeast corner of the park, conveniently close to the playground. There are also a couple of balloon twisting stations at the site, public washrooms with flush toilets and a first aid station. The festivities at Waterfront Park are put on by the Rotary Club of Lions Gate. The event is free, but funds raised through the sale of hot dogs and vendor fees go towards charitable projects on the North Shore. Buy lots of hot dogs at the Rotary booth and feel good supporting the community! The North Vancouver Canada Day celebrations not only try to be an environmentally GREEN event, but even a NEGATIVE WASTE one! Styrofoam is banned at the event, there are recycling and composting stations everywhere and people are encouraged to ride their bikes or take public transit. Attendees at the event are also asked to bring their own reusable water bottles, and folk are even welcome to bring their old batteries and light bulbs to be recycled (which helps keep the event’s impact limited or even negative). Way to go Rotary Club of Lions Gate and all your event sponsors and volunteers! Click North Vancouver Canada Day Celebrations for more details about the event. In addition the afternoon celebrations at Waterfront Park, other Canada Day activities also take place on the North Shore at various times and places. 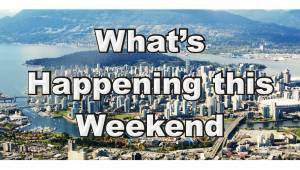 There is the parade in the morning, the Red & White Picnic in West Vancouver, other activities around Lower Lonsdale and evening fireworks in Burrard Inlet. Prior to the celebrations at Waterfront Park, North Vancouver also has a parade which takes place from 10 am until noon. The parade goes along 13th Street from Grand Boulevard before heading down 17th Street via Lonsdale Avenue to Mahon Park. It’s a small community-style parade, but lots of fun, especially for young children. By the time the parade finishes it’s time to head to Waterfront Park for all the afternoon celebrations, as mentioned above. For more information about the parade, see the North Shore Canada Day Parade website. Did you know that you can see the Canada Place fireworks from North Vancouver? 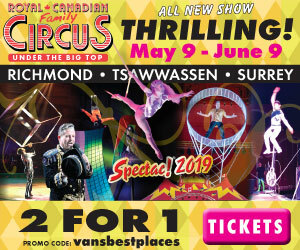 Good places to see them are from Waterfront Park, Lonsdale Quay and Shipbuilders’ Square. The fireworks blast off from a barge that’s quite a ways into Burrard Inlet from Canada Place, so the view is pretty good from the North Shore. Fireworks also take place in West Vancouver at the Red & White Picnic as well as in over half a dozen other communities around the Lower Mainland. For information about other fireworks venues, click Metro Vancouver Fireworks or check out the Red & White Picnic. Just half an hour after the end of the Waterfront Park festivities most years in North Vancouver, West Vancouver begins its Canada Day celebrations at John Lawson Park with its Red and White Picnic which goes from about 4:30 pm and finishes around 10:30 pm. Participants at the West Vancouver event are invited to bring their lawn chairs and picnics and enjoy an evening of live entertainment, finishing with a fabulous display of fireworks at 10:30 just off the shore. Click Red & White Picnic for more information about the Canada Day celebrations in West Vancouver. North Vancouver’s main Canada Day celebrations take place at Waterfront Park which is just a 5-minute walk west of the SeaBus at Lonsdale Quay. A few activities also happen at the Quay itself, however, including live music with the VOC Sweet Soul Gospel Choir who performed from 3 until 5 pm in 2018. Again, the main (and most family-friendly) Canada Day activities take place at Waterfront Park, so be sure to check them out! Perhaps wander over to Lonsdale Quay after the Waterfront Park event wraps up, like at around 4 pm, for a bit of additional fun. There might also be something going on around the Shipyards. At the same time as fireworks take off from a barge in the waters of West Vancouver, a second barge blasts them out in Burrard Inlet’s Coal Harbour, directly across the water from North Vancouver’s Waterfront Park and the Lower Lonsdale waterfront. Great places to view the pyrotechnics from North Vancouver include Waterfront Park, Lonsdale Quay and the pier by Shipbuilders’ Square (which is just a 5-10 minute walk from the SeaBus terminal in the opposite direction from Waterfront Park). Check out the official North Vancouver Canada Day website for more details on the event at Waterfront Park. 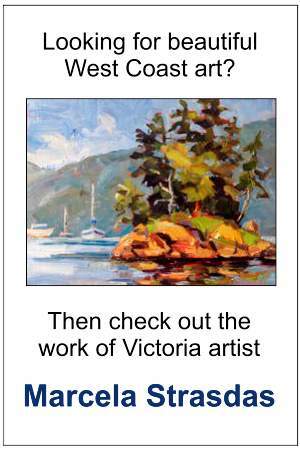 Information about the event can also be found on the North Van Canada Day Facebook Page and Facebook Events Page. Photos of the event are also available on the event’s Instagram Page. 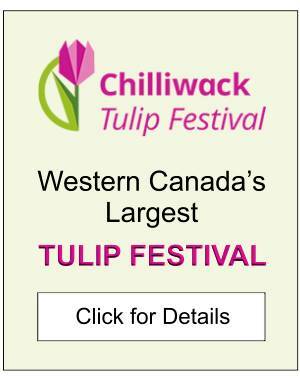 Click Canada Day in the Lower Mainland for other July 1st events in other parts of Metro Vancouver.